You can use too just 33% cream . For the cake, place all the dried fruit into a large mixing bowl, pour over the brandy and stir in the orange zest. Cover with clingfilm and leave to soak for three days, stirring daily. Or for me was better idea mix marzipan with apricot jam and after with my wet hands put on the top. Because after i don't use original traditional royal icing but just cream . 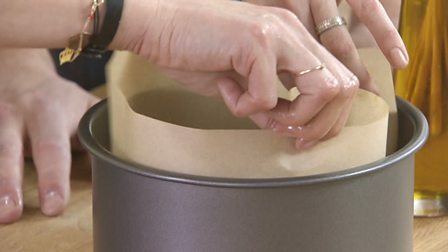 Watch technique6:22 minCarefully lift the marzipan over the cake using a rolling pin. Gently level and smooth the top of the paste with the rolling pin, then ease the marzipan down the sides of the cake, smoothing it at the same time. 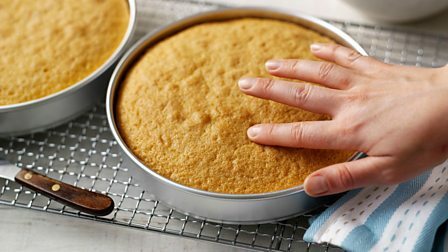 If you are careful, you should be able to cover the cake with no excess marzipan to trim but, if necessary, neatly trim excess marzipan from the base of the cake with a small sharp knife. Cover the cake loosely with baking parchment and leave for a few days to dry out before adding the royal icing. For the royal icing, whisk the egg whites in a large bowl until they become frothy. Mix in the sifted icing sugar a tablespoonful at a time. You can do this with a hand-held electric whisk, but keep the speed low.